This is part of a series on the Global Goals for Sustainable Development, in collaboration with the Stockholm Resilience Centre. This article focuses on goal 3 – Ensure healthy lives and promote well-being for all at all ages. Are you happy? Or let’s be more specific: imagine a ladder with steps numbered zero at the bottom to ten at the top. The top is the best possible life for you and the bottom is the worst. Which step are you on right now? The average in wealthy OECD nations is 6.6. If you live in the Nordic countries, Switzerland, Israel, Australia or Canada, then you are likely to be happier than most. Needless to say, if you are living in Greece and Portugal you are likely having a hard time. But improving well-being is a key goal for the Sustainable Development Goals (SDGs). Here are five steps to improve personal well-being, societal cohesion and greater cooperation with our future. Even if competition is generally more visible and more spectacular than cooperation, recent work has shown that evolution must involve cooperation to create higher levels of organization. It seems that today we need to move to the next level of cooperation to face the many challenges of our times. In strongly competitive societies, individuals do not trust one another, they worry about their safety and they constantly seek to promote their own interests and social status without much concern for others. On the other hand, in cooperative societies, individuals trust one another and are prepared to devote time and resources to others. This sets in motion a virtuous cycle of solidarity and reciprocity that nurtures harmonious relationships. There are two types of problems that the homo economicus, or economic human, whose only goal is to promote his selfish interest, will never resolve: collective goods and poverty in the midst of plenty. To solve these problems we need to bring about the voice of care and altruism. The economy must exist to serve society, not to be served by society. It must also benefit society as a whole. A healthy economy must not give way to disproportionate inequality. This does not refer to the natural forms of disparity that are manifest in any human community, but rather extreme inequality that derives not from people’s actual dispositions but from the economic and political systems that are skewed to promote this iniquity. None of this is inevitable – economic choices are, of course, value-driven – and it is possible to set a different course, provided popular and political will exists. Even in the world of economics, the respect for human values exemplified by altruism is not an idealistic dream but a pragmatic expression of the best way to achieve a fair economy and long-term harmony. Our era is confronted with many challenges, among them the imperative of reconciling the demands of three timescales – short, middle and long term, on which three types of interests are superimposed: ours, the interests of those close to us, and those of all sentient beings. In the short term, we must respond to the immediate demands of the present economy; in the middle term, the search for happiness; and in the long term, the health of the environment and future generations. We are faced with an economy that is evolving at an ever-faster pace. Those who live well are often reluctant to alter their lifestyle for the good of the needy and the benefit of generations to come. Those in poverty aspire not only to what they legitimately need to live a decent life but also to enter into the consumer culture, which pressures everyone to constantly pursue material things they don’t need. Happiness and satisfaction are measured in terms of a generation, encompassing our life plan, our career and our family. Whether or not we are happy depends not only on external conditions but also on the ways in which our mind interprets these conditions as happiness or misery. As for the environment, until recently its evolution has been measured in terms of geological and climatic eras, over millions of years. In our day, the rhythm of change keeps accelerating because of ecological upheavals provoked by human activities. In particular, the “Great Acceleration” that has occurred since 1950 has defined a new era, called the Anthropocene (“era of humans”), in which, for the first time in history, human activities are profoundly modifying (and currently degrading) the entire system that maintains life on earth. This completely new challenge has taken us by surprise. If our obsession with achieving quantitative growth continues, with consumption of natural resources increasing at its current exponential rate, we will need three planets by 2050. We don’t have them. What can we do about this predicament? Only a unifying concept will lead us out of this complex maze of preoccupations. Altruism, – that is, having more considerations for others – is the Ariadne’s thread allowing us to connect harmoniously the challenges of the economy in the short term, quality of life in the medium term and our future generations in the long term. The respect for human values embodied in altruism is not an idealistic dream but a pragmatic expression of how best to achieve a sustainable harmony. The term “sustainable development” can be wrongly understood as referring only to quantitative growth, which is no more sustainable since infinite quantitative growth requires an ever-greater use of a finite ecosystem. The middle way between quantitative growth and decline can be found in sustainable harmony; in other words, a situation that guarantees everyone a decent way of life and reduces inequality at the same time as ceasing to exploit the planet at such a drastic rate. To bring about and maintain this harmony, we must on the one hand lift a billion people out of poverty as soon as possible and, on the other, reduce the excessive and unnecessary consumption in rich countries. We must also gain awareness of the fact that unbridled material growth is not remotely necessary for our well-being. 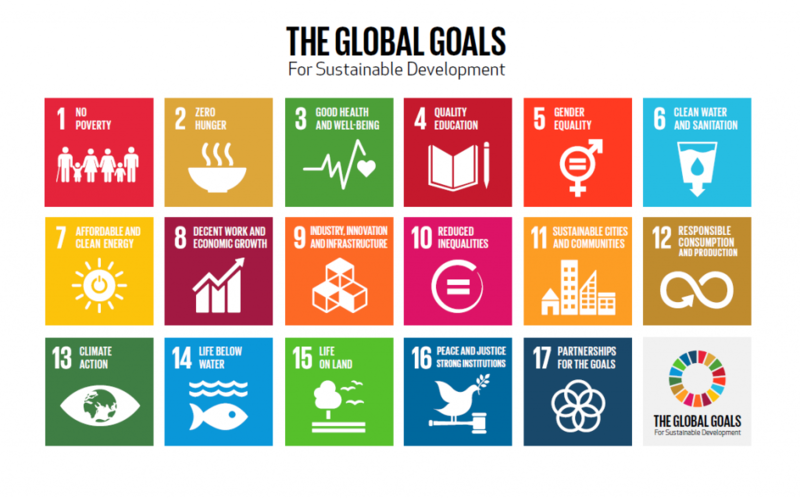 The Sustainable Development Goals are the beginning of this road to enlightenment.